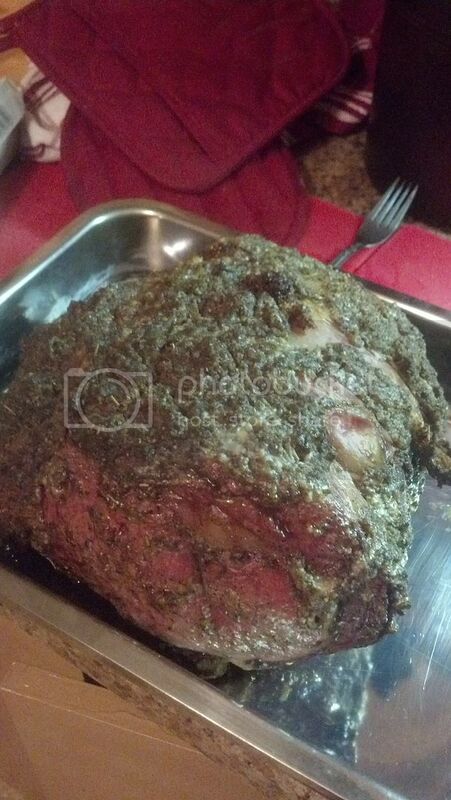 Garlic-HorseRadish Crusted Smoked Prime Rib. Recipe adapted from one by Tyler Florence. Man, you cooked that spot on. Looks awesome ! Oh man does that look delicious! That was on our menu today too. 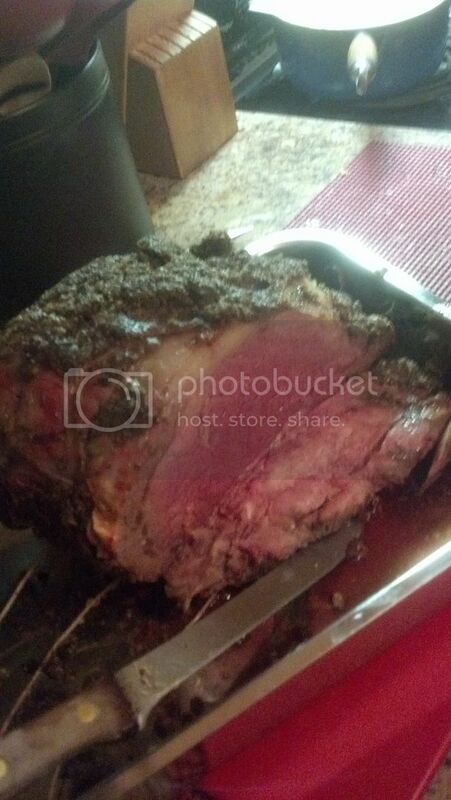 You can never go wrong with a beautifully cooked prime rib roast. Now to pay off the mortgage. 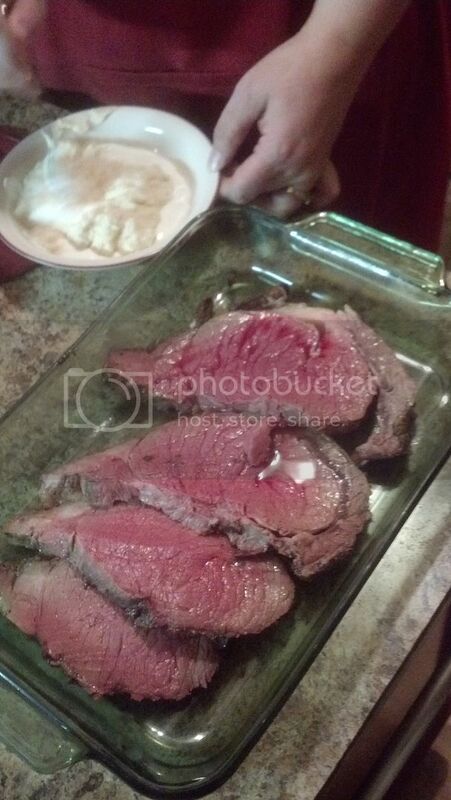 I cooked Christmas Eve dinner for my wife and her family. Beef wellington, lemon risotto and green beans. It turned out really well. We had lefsa Christmas Eve and cooked a turkey on the grill injected with Cajun marinate Chris. day.man that is the only to cook a turkey.